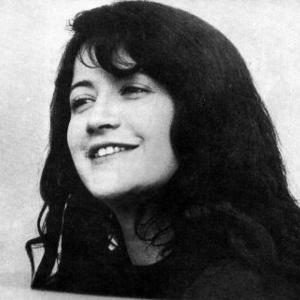 Martha Argerich (born June 5, 1941) is a concert pianist from Buenos Aires, Argentina. Her aversion to the press and publicity has resulted in her remaining out of the limelight for most of her career. She has given relatively few interviews. As a result, she may not be as well known as other pianists of similar caliber. Despite this, she is widely recognized as one of the greatest piano virtuosos of our time. New posting: I wouldn't nornally contradict someone who has taken the trouble to post a biography of an artist, but the DG website suggests a prolific and public career and every lover of great pianism and artistry cherishes every note she play. Martha Argerich rose to fame with her interpretations of the virtuoso piano literature of the 19th and 20th centuries. But she does not regard herself as a specialist in "virtuoso" works - her repertoire ranges from Bach through Beethoven, Schumann, Liszt, Debussy and Ravel, to Bart?k. Martha Argerich has worked as a concert pianist with many famous conductors. She has also attached great importance to chamber music ever since, at the age of 17, she accompanied the violinist Joseph Szigeti - two generations older than herself. She has toured Europe, America and Japan with Gidon Kremer and Mischa Maisky and has also recorded much of the repertory for four hands and for two pianos with the pianists Nelson Freire, Stephen Bishop-Kovacevich, Nicolas Economou and Alexandre Rabinovitch. Martha Argerich has performed at Gidon Kremer's festival in Lockenhaus, at the Munich Piano Summer, the Lucerne Festival and at the Salzburg Festival, where she gave, for instance, a recital with Mischa Maisky in 1993. She appeared with Claudio Abbado and the Berlin Philharmonic at the 1992 New Year's Eve Concert with Strauss's Burleske and also at the Salzburg Festival at Easter 1993. May 1998 saw the long-awaited musical "summit meeting" between Martha Argerich, Mischa Maisky and Gidon Kremer. On the occasion of a memorial concert for the impresario Reinhard Paulsen, the three artists came together in Japan, where they performed piano trios by Shostakovich and Tchaikovsky (recorded live by DEUTSCHE GRAMMOPHON). In March 2000 Martha Argerich gave her first great solo appearance in almost 20 years in New York's Carnegie Hall. Martha Argerich has close ties with DEUTSCHE GRAMMOPHON, dating back to 1967. She has recorded prolifically during this period: solo works by Bach, Brahms, Chopin, Liszt and Schumann; concerto recordings of works by Chopin, Liszt, Ravel and Prokofiev with Claudio Abbado, Beethoven with Giuseppe Sinopoli, and Stravinsky's Les Noces with Leonard Bernstein. Her recording of Shostakovich's First and Haydn's Eleventh Piano Concertos with the W?rttembergisches Kammerorchester Heilbronn conducted by J?rg F?rber was crowned with the Tokyo RECORD ACADEMY AWARD in 1995 and that of Tchaikovsky's Piano Concerto No. 1 with Claudio Abbado and the Berlin Philharmonic Orchestra was awarded the CD COMPACT AWARD in 1997. She has also dedicated herself to chamber music, and has recorded works by Schumann and Chopin with Mstislav Rostropovich, and cello sonatas by both Bach and Beethoven with Mischa Maisky. She has made numerous successful recordings with Gidon Kremer, such as violin sonatas by Schumann and works by Bart?k, Jan?cek and Messiaen (PRIX CAECILIA 1991), and Mendelssohn's concerto for violin and piano with the Orpheus Chamber Orchestra. Their recording of Prokofiev sonatas and melodies received the 1992 Tokyo RECORD ACADEMY AWARD, the DIAPASON D'OR 1992 and the EDISON AWARD 1993. One of their most outstanding recording achievements was that of the complete Beethoven violin sonatas (Nos.1-3: RECORD ACADEMY AWARD 1985), which was concluded with the release of the Sonatas op. 47 "Kreutzer" and op. 96 in 1995. Among her more recent releases is the above-mentioned live recording of piano trios by Shostakovich and Tchaikovsky with Mischa Maisky and Gidon Kremer. Martha Argerich takes a great supportive interest in young artists. In September 1999 the first International "Martha Argerich" Piano Competition took place in Buenos Aires - a competition which does not only carry her name but in which she is president of the jury. In November 1999 the second "Martha Argerich Music Festival" took place in southern Japan, with concerts and masterclasses being given not only by Martha Argerich but also by Mischa Maisky and Nelson Freire among others.